Name Badges are quite common in meetings, conventions, schools, offices and other places that require uniformity and where identification is important. Seminars for instance where most participants come from various places or organizations require Name badges to properly transform the event into a more formal one. Instead of calling everyone “Miss” or “Mister”, would it not be better to call them with their preferred name. As they say, there can never be much sweeter than being called by your own name. Seminars and forums where everyone are strangers to each other can even be made more open and friendly when everyone has badges identifying them who they are and what they represent. This gives an invitation to start a conversation and get-to-know-you-better routine necessary in most instances. Of late, the use of Magnetic Name Badges is prolifically used in most industries, events and occasions that call for it. These varieties pave the way for a much innovative way in putting identity to a person as they can be fastened securely to clothing or uniforms without damaging the fabric. Durable and customizable, they can be easily personalized to correspond to any occasion. Various manufacturers these days have websites where customers can make use of their auto wizard programs that can help in the customization process of these name plates. 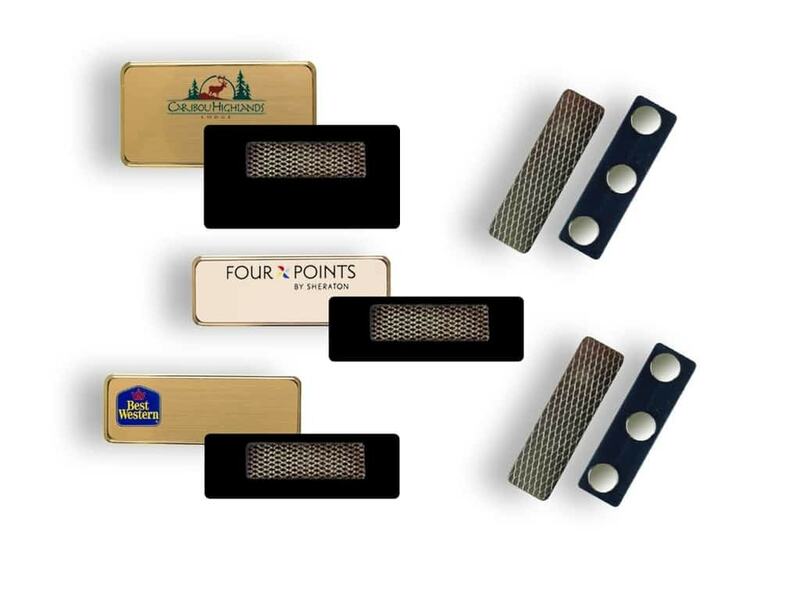 You can freely choose sizes, logos, corner design and other basics that will make your identification plates truly one-of-a-kind. And in two to three days’ time, ordered variety, regardless of size and specifications, are easily delivered at your doorstep. Convenient, affordable and quality, name tags and badges are truly best ways to put zing to any event.